We are all familiar with the physical characteristic presentation of Down’s Syndrome, but how much do you really know about the condition? You may know that it’s a genetic condition, but who is more at risk of having a baby with Down’s Syndrome? We address these concerns, and many more in today’s blog post on the condition. 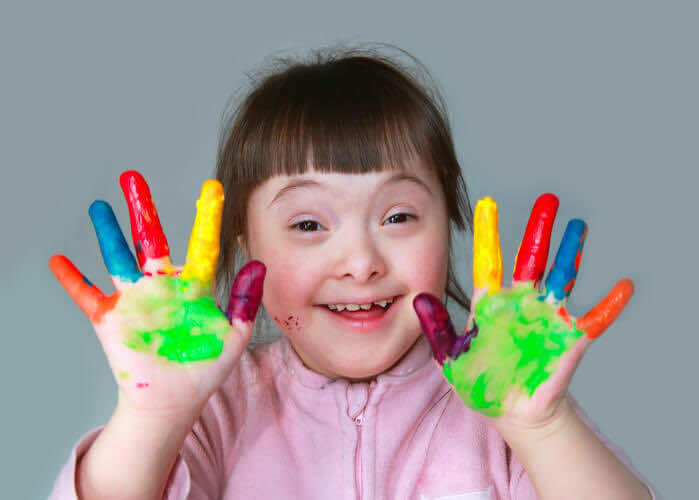 Should you have any further queries about Down’s Syndrome, or any other genetic condition, our experienced doctors at London Doctors Clinic would be more than happy to advise during a consultation. Lots of people with Down’s syndrome are quite short in height, and may become overweight quite easily. This does not mean, however, that all people with Down’s syndrome will have all these features, and look the same! Everyone develops their own unique features as they grow up, many of which are often inherited from families, such as eye or hair colour. Something all Down’s children will all be affected by, however, is a learning delay or disability to some degree, and may they seem to be behind their peers in meeting developmental milestones. That said, people with the condition can go on to lead long, happy and health lives, able to live relatively independently, have their own families. Many pregnant mothers worry that their child will be affected with this condition, but there is only a small chance that your child will be affected. However, it is important to keep in mind that older mothers have a significantly increased risk of giving birth to a child with the syndrome, and maternal age is the main risk factor for the disorder. For example, at 30 years old, a pregnant woman has a 1 in 800 chance of having a child with the syndrome, whereas at 40 years old, a pregnant woman has a 1 in 100 chance of her child being afflicted with the condition. We understand that these statistics can be a bit difficult to digest, and if you feel you’d like to discuss your risk of having a baby with Down’s Syndrome with a doctor, then GP’s are especially trained in genetic counselling of sensitive topics. If you are pregnant (or thinking of becoming pregnant), and concerned that you may be at risk of having a child with this disorder, you can undergo ante-natal screening, which is a way of assessing whether your unborn child could develop, or has developed, a chromosomal abnormality during your pregnancy. All pregnant women have the option to have this testing. Nuchal Translucency: this is an ultrasound scan that will pick up a collection of fluid at the back of the baby’s neck, making it appear thicker than usual. The two tests above are called the combined test, and are offered between 11-14 weeks of pregnancy. There is also a blood test that is available between 14 -20 weeks of pregnancy, and this can be done if you decide to be tested after your pregnancy has progressed beyond the 14 weeks limit for the combined testing. From 2018, the NHS will be able to provide a new type of screening before birth, which can detect Down’s syndrome, and several other important chromosomal abnormalities. This test is called the Non-Invasive Pre Natal test. NIPT works by analysing fragments of genetic material in the Mother’s plasma (a component of blood that holds cells) during pregnancy. Some of this genetic material belongs to the foetus, and sequences of the baby’s genetic material that map back to Chromosome 21 (the chromosome which has an extra copy in Down’s Syndrome) will be higher if the baby is affected by Down’s Syndrome. This test is non-invasive, and simply involves taking a blood sample from the mother. It is more accurate than the current tests that are available on the NHS for Down’s syndrome screening, and vitally for many pregnant mothers, it does not put the pregnancy at risk of miscarriage like other tests, such as amniocentesis, sometimes can. If you would like to discuss any of the matters mentioned in this article any further, we recommend you book an appointment at any of our London clinics, to speak to a GP. If you’re currently pregnant and overwhelmed by the idea of all these tests (such as amniocentesis and NIPT), one simple discussion with a GP or private GP can help you better explain your options, and help you decide which test, if any, is right for you.